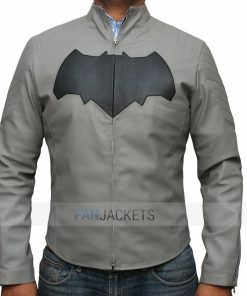 Arkham Knight Batman Jacket - Discounted Price - Free Shipping. 100% faux leather makes this jacket inexpensive. It may not be real leather but lasts up to good 3-5 years. Grey color never gets out of fashion and matches with any outfit. Two inside pockets to keep your valuables safe. Batman Arkham Knight Jacket was in great condition. The size fit, but was slightly tight where my boyfriend could only fit a tank underneath the jacket. Service and quality was wonderful. 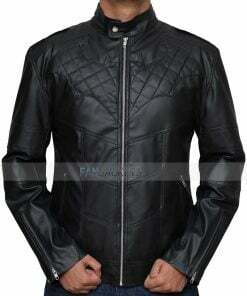 Very comfortable faux leather jacket. The color, fit and quality is very good. I would recommend this item to anyone looking for a good quality, comfortable jacket for chilly days and nights. This jacket is inspired by “Batman: Arkham Knight” video game. The Batman Arkham Knight Jacket is made from first class PU leather and includes an additional viscose lining that is stitched inside. 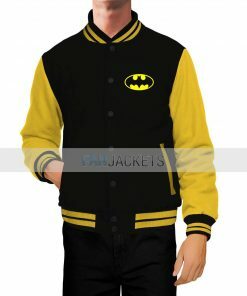 It has the Bat logo embossed on the center of the chest area. The outfit is available in grey color and has a stand up collar along with a YKK brand zip closure on the front. 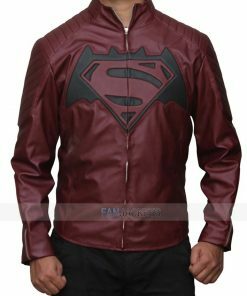 Buy The Arkham Knight Leather Jacket now and avail free shipping.